Desi Smith/Staff Photo. 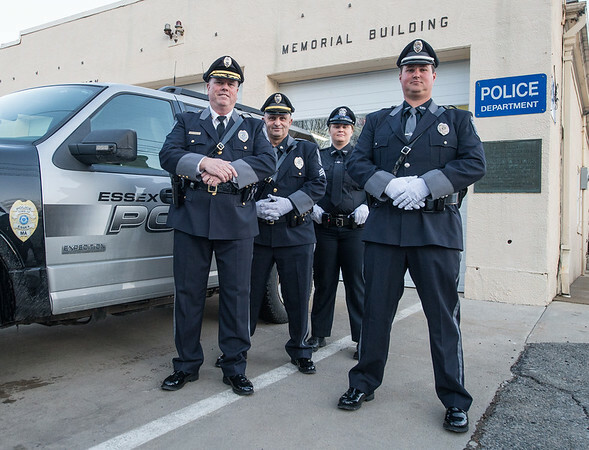 From left to right, Essex Police Chief Peter Silva proudly stands with Sgt. Paul Franics, Officer Katrina Ewing and Officer Ryan Davis who all received commendations for saving the life of a man driving while on narcotic. March 9,2015.